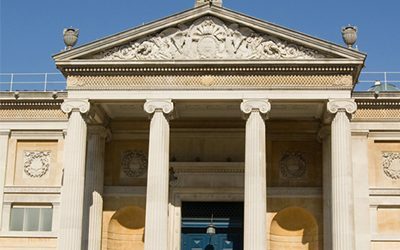 Many institutions that display, study and store documentation and artefacts around the world have been fitted with Hanwell environmental monitoring solutions to safeguard our heritage for the future. Institutions will be aware that tangible culture is prone to damaging effects caused by temperature and humidity. Some independent effects of high temperature include increased biological activity, and acceleration of chemical deterioration processes. 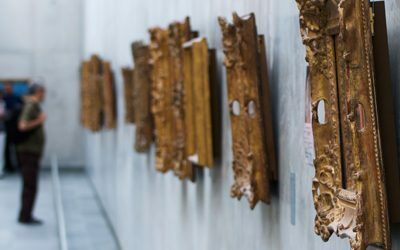 In high relative humidity conditions insects and moulds thrive, metals corrode, dyes and textiles fade and deteriorate more quickly, organic materials such as wood and leather swell or change shape, and gelatine emulsions and adhesives become sticky. 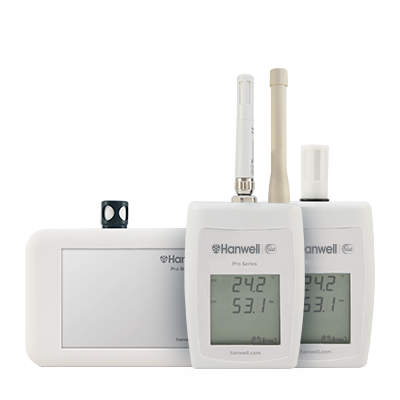 Temperature and humidity levels need to be monitored and controlled in conjunction with one another using the Hanwell ML4000RHT data logger and radio transmitter ranges. Humidity can often be controlled by manipulating temperatures within an area in order to control these effects within an environment. This recorded data can be for alarms and historical data analysis. Light is renowned for being one of the major causes of deterioration to pigments such as inks, paper and other organic substances. Further damage is caused by ultraviolet light (UV) within the sun ray or florescent light which produce oxidation of cellulose. This results in fading of papers and ink, but also further chemical reactions occur that can turn paper yellow or brown and separate fibres. 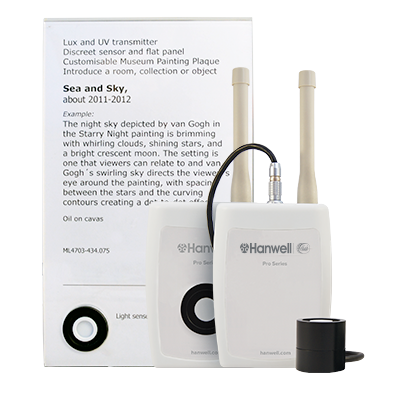 Studies within cultural heritage institutions can easily determine if too much light and UV is exposed for too long by using the Hanwell ML4000LUX/UV series of data loggers and radio transmitters. 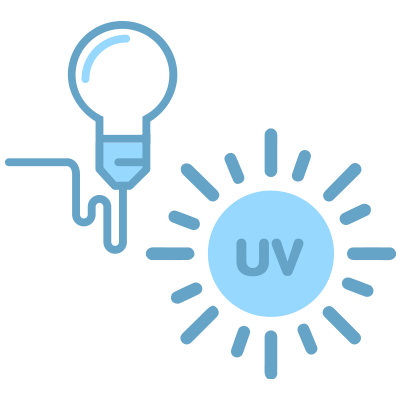 Measurements taken include the amount of visible light (LUX) the proportion of UV present (µW/lumen) and the UV power (mW/M2). 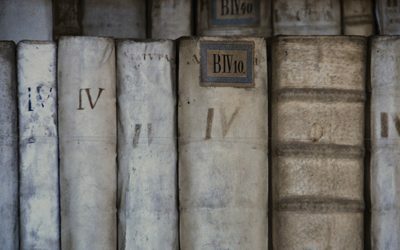 A common problem for organic materials comes from irreparable loss or damage to books resulting from an attack of insect pests. Studies have shown this could be as a result of dust build up or transmitted from other infested items. 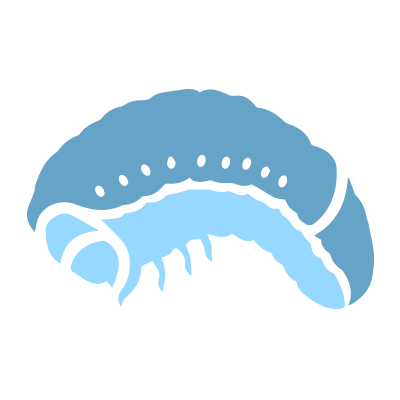 Termites, Silverfish, Booklice and others are all responsible for feeding on organic materials such as paper, leather, parchment, glue and gum of bookbinding. In the past, conservators have relied on expensive toxic fumigation to eliminate insect pests in and around infested areas. 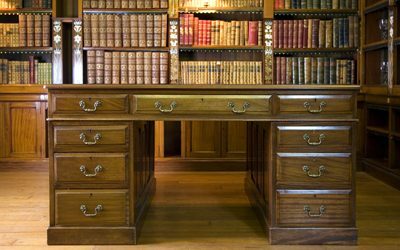 These methods kill insect pests, but leave harmful gases or residues on the books themselves which can be just as damaging. 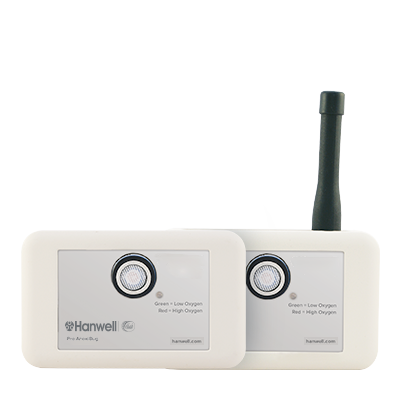 Institutions can use the Hanwell AnoxiBug system as a cost-effective anoxia treatment to show that staff can use with ease when an infestation occurs. 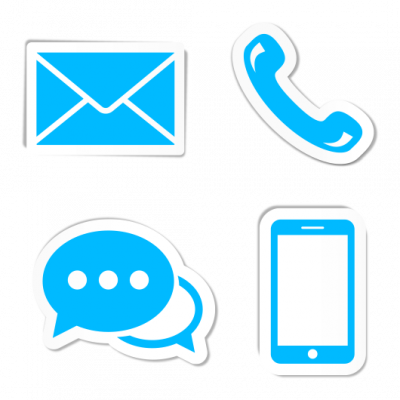 The infested items are placed within an aluminium packet with an oxygen indicator. When the bag has been sealed (with the item inside) the oxygen level is lowered to such a point that all insects perish. The bag and indicator can either be stored at this point or reused for another time. Shipping collections between heritage sites expose them to many more hazards and multiply the risk factor enormously. 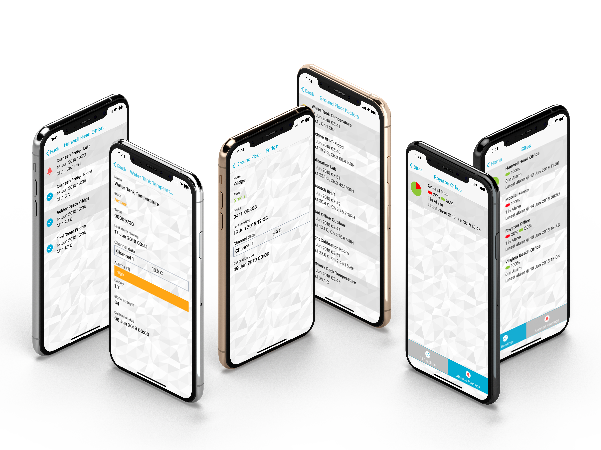 Appropriate countermeasures have to be taken to ensure that every conceivable threat is minimised or eliminated, including damage caused by vibration. 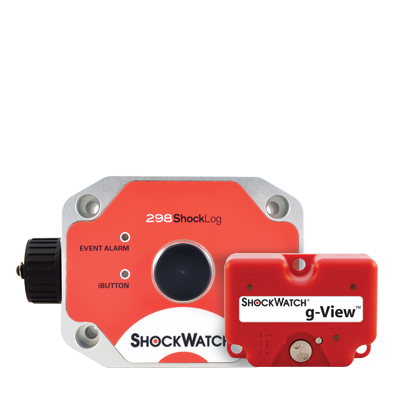 Institutions can use shock and impact devices for studies such as G-View and ShockWatch impact indicators to assist with exposing risk and ultimately how these can be used for damage prevention thereafter. The movement of air within character buildings occurs in hall ways, stairwells and other wind traps close to exits or even open areas. 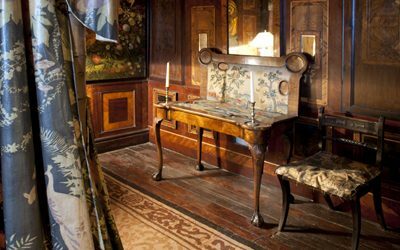 Air is drawn through a building at damaging rates, bringing with it pollutants that can affect the condition of monitored environments surrounding valuable collections. 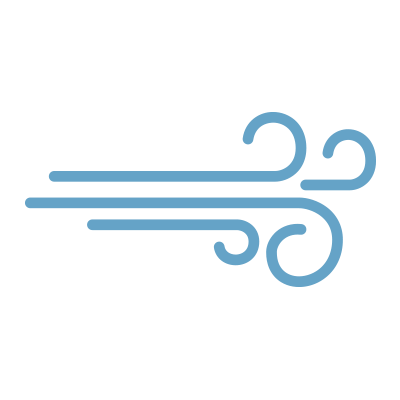 Similarly, the external corrosion on buildings caused by the wind force (speed and direction) of rain, pollutants and debris can have not only detrimental effects on the condition of the external building walls, but also potentially lead to internal damp. 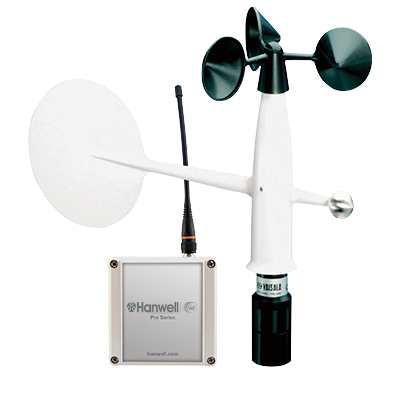 Institutions can use the Hanwell RL2000 series for internal air movement and external wind, speed, precipitation, barometric pressure, temperature and humidity studies. 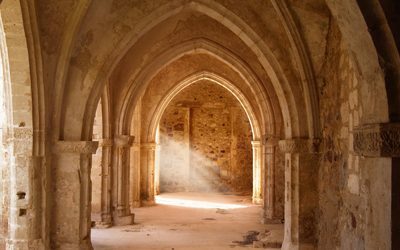 Using these tools, studies can determine a 3D model of air movement within historical buildings such as a chapel. Modern engineering helps the historic warship’s safe passage into the limelight providing visitors with an insight into 16th century maritime.